Palestinian commander Aref Abdel-Razeq (x) and members of his military staff Hamad Zawata, Mohamed Al-Amr and the Iron Guard during the 1936-1939 revolution. 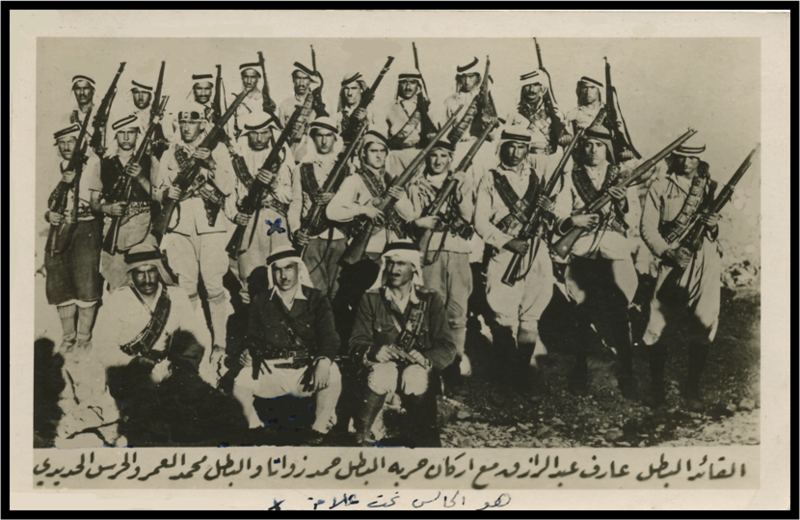 All these resistance fighters were farmers and volunteers who purchased or smuggled their own weapons and ammunition into Palestine, and fought against British forces and Jewish immigrants’ armed groups until they run out of ammunition or were killed in battle. There was no central organization or logistical supply group to provide them with anything. Those who died in defence of their villages and lands left families and orphans who had nobody to care for them other than family or tribe members.